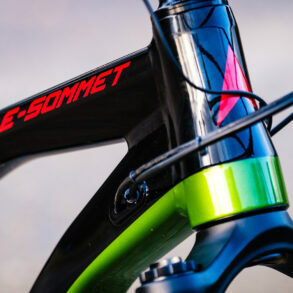 An emtb with the geometry of a regular bike. 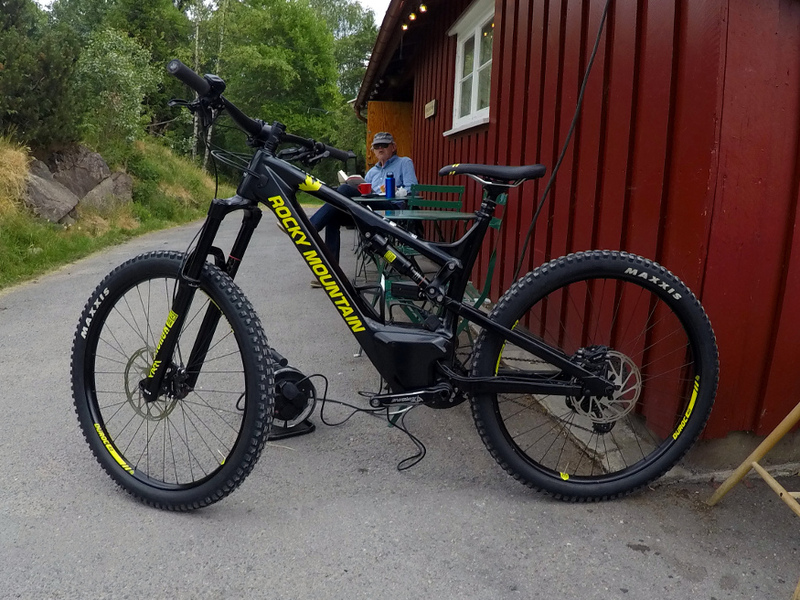 Please wait – is what I’m told when I show up to have a ride on the Rocky Mountain Altitude Powerplay C50, ‘we forgot to charge the battery’. After just half an hour several battery bars had returned to the indicator, that was surprisingly quick. The reason for the fast recharge is the motor system that is 48V as opposed to the more regular 36V found on most other systems. The higher voltage combined with a pretty powerful 5 ampere charger allows charging the 500Wh battery from 0 to 80% in just 1h40m. This is my first encounter with Rocky Mountain and the motor they developed themselves. The motor has three assistance levels and it is called Dyname 3.0 drive. It’s got a regular crankset and several smaller cogs/pulleys. 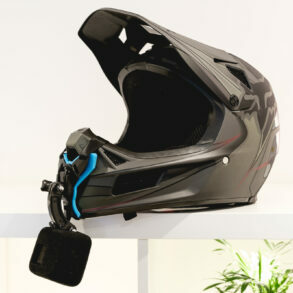 Check out “EMTB Tech” at the bottom of this page for more details on the design. This motor only needs torque to activate so it kicks in instantly and feels very responsive. Other motors can keep the power on for a very short while after you stop pedaling. By keeping the power on you can pedal unevenly and the motor will smooth out the power delivery, that can be nice for riding over difficult sections when you’re struggling to keep your balance. The Powerplay motor cuts power as soon as you stop pedaling, so it behaves more like a regular bike. It’s easy to control this motor and there is never an extra shove from the motor that will launch you into an obstacle. It offers a nice mix of power and control. There is some noise from the motor, a clicking sound that I haven’t heard from any other motor. The electrical motor is quiet, the sound I’m hearing is caused by the chain guide. It’s not a very loud noise though, it’s no worse than most other motors. I’m told that this has been adressed on the 2019 model where the guide has been made from a material with better dampening properties. There is no display showing speed, distance, etc on this system. There is a panel on the handlebars with a few buttons and lights indicating assistance and battery level. There is an app for this motor but I didn’t have the time to check it out. It allows you to adjust the ammount of power for the different assistance levels, and it provides additional info such as remaining range. 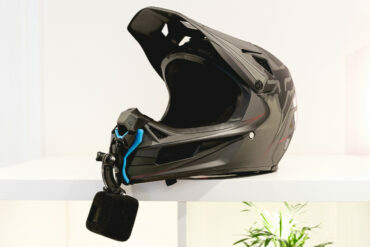 The 500Wh battery isn’t easily removed, this is a disadvantage for anyone not able to bring the bike indoors for charging during the winter. 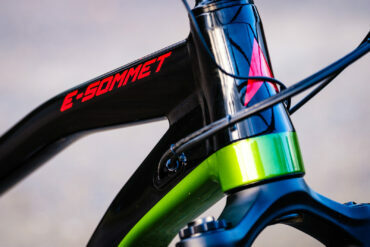 The advantage of this design is weight saving and often a slimmer and better looking downtube. Altitude Powerplay C50 is the cheapest of three models. 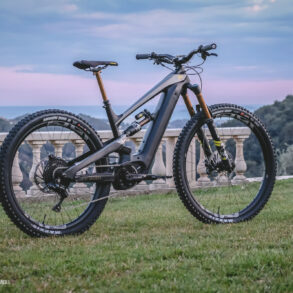 It’s got a carbon frame and Rockshox suspension. The fork is a 160mm Yari and at the back is a Monarch RT shock offering 150mm of travel. These are sturdy and well performing components. The Sram Guide RE brakes felt nice and did their job on this test ride. The tyres are Maxxis Minion DHF 27.5×2.5″ WT. 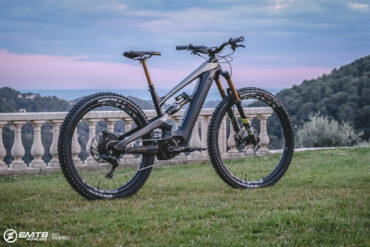 Most emtbs come with 2.8″ tyres, but it seems a few manufacturers are moving away from the 27.5×2,8″ tyres these days. This was my first encounter with the Sram EX1 drivetrain. 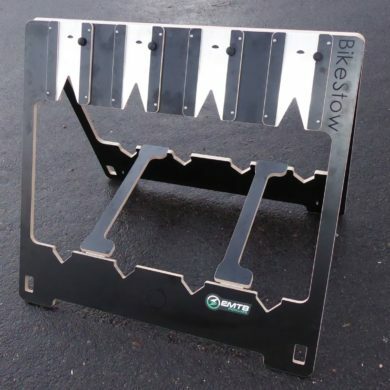 This is an 8 speed system with an 11-48t cassette that is designed specifically for ebikes. The gap between each gear is pretty big, the idea is that this will reduce shifting thus reducing drivetrain wear. The gear shifter on the handlebar only allows me to shift one gear at the time. Shifting several gears in one click increases the risk of failure, especially on an ebike. To me the gaps between gears felt a bit too big. I often had to chose between going a bit slower or a bit faster than I wanted. Sure, the motor had no problems supporting the higher gear. But depending on the terrain, going faster isn’t always desireable, so I often opted for the lower gear and lower speed. I guess this is a matter of adapting my riding style. I don’t know what to make of the EX1, I guess I need more time with it to make up my mind. Regardless, the EX1 is a pretty expensive piece of kit that doesn’t match the rest of the parts. 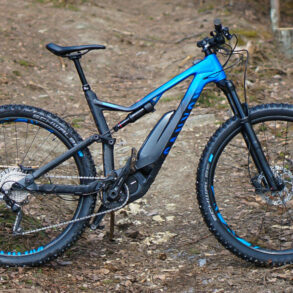 I can’t help to think they could have just gone with Shimano SLX or XT drivetrain to make the bike a bit cheaper. 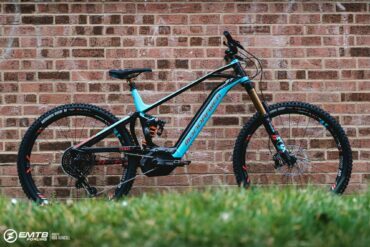 Rocky Mountain have a system for adjusting frame geometry called Ride9. I only rode the bike in the default setting (no5). 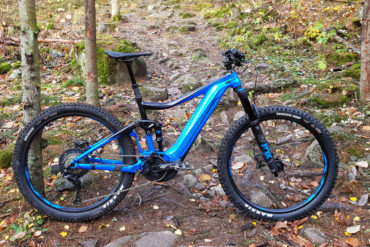 The Altitude Powerplay has the exact same geometry as the regular Altitude and the 425mm chainstays are the shortest on any ebike I’ve ridden. 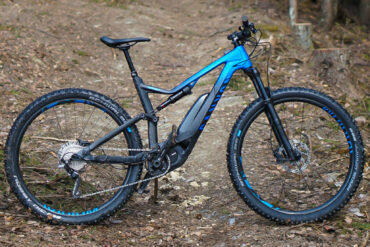 The geometry combined with the motor makes this the most bike-like emtb I’ve ridden so far. 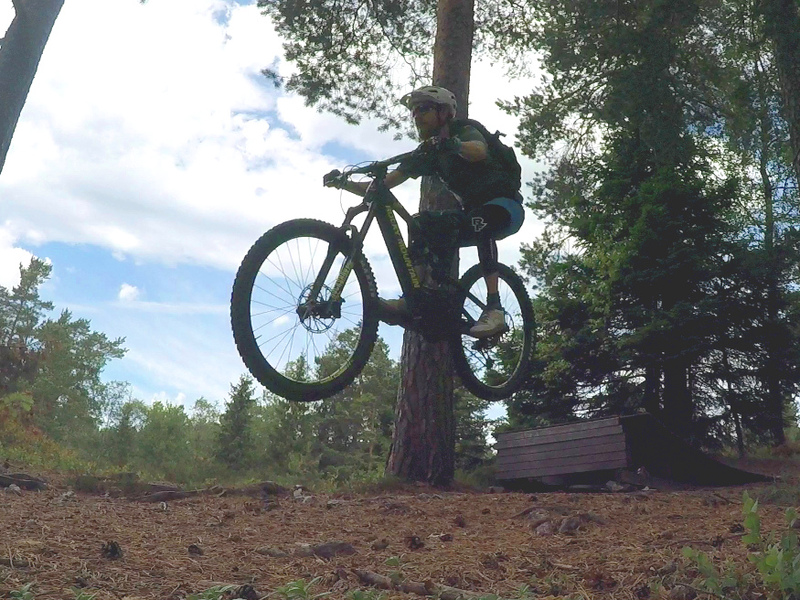 Altitude Powerplay is very nimble and engaging to ride. The regular-bike-feel comes with a few sacrifices though. 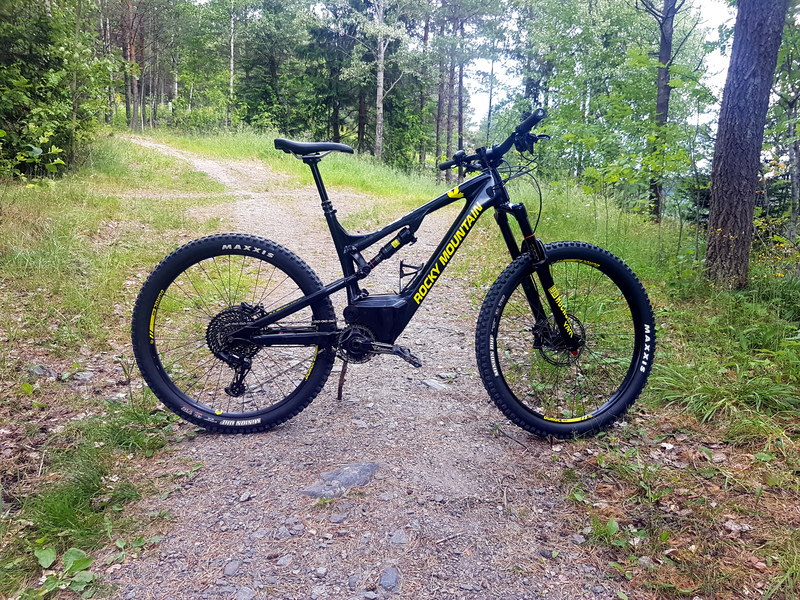 It doesn’t climb as well as an emtb with ~30mm longer chainstays, and you give up some stability going downhill at high speeds. But that isn’t really a surprise with such a short rear end, the Altitude Powerplay was made to be fun and nimble. Not all emtbs have to be made for extremely steep climbs. Be aware that this is just my initial impression, after just one ride. The Rocky Mountain motor may look complicated, but it actually is a pretty simple design. On the photo above you can see four cogs/pulleys. The black wheel on top/left is a chain guide. The shiny cog on top/right is attached to the motor, this is where the motor assistance comes from. The tiny black pulley on the right is basically the throttle. And finally there’s the chainring on the cranks. 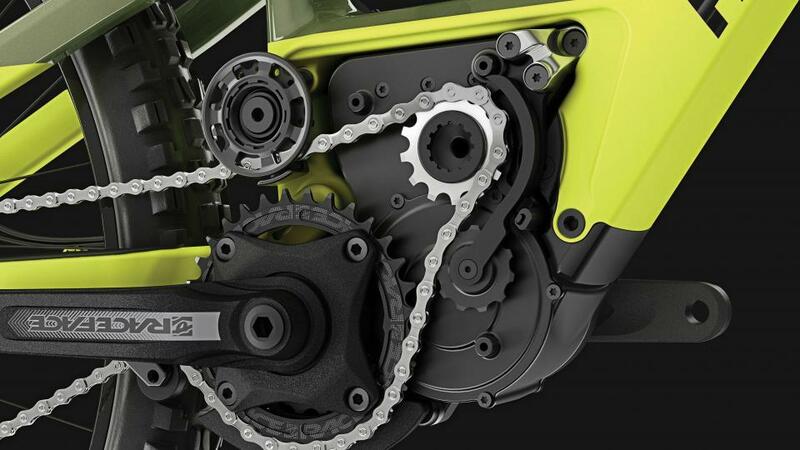 If you look closely at the chain between the shiny motor cog and the big chainring, you’ll see that the black pulley is making a slight bend on the chain. When you put pressure on the pedals, the chain will thighten up and become more straight. When tensioning the chain, the little black pulley is forced to move. This little pulley is attached to an arm and the arm is the throttle. Move it a little and you get a bit of motor power. Move it all the way and you get max motor power. So there is no need to measure torque or have the pedals move, it’s simply a throttle that has to be physically moved. Quite simple, and I think it worked very well. 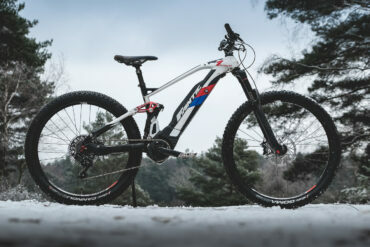 The Rocky Mountain Altitude Powerplay rides more like a regular trailbike than any other emtb I've ridden. It's not the most versatile of emtbs, but it's nimble and fun. It does what it's designed to do, and it does it very well. 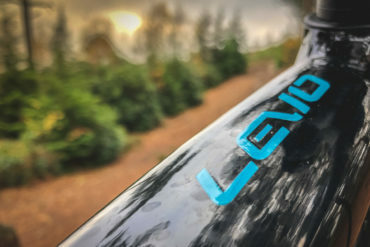 It's a great bike, but it's not for everyone. Norwegian and father of 2. I've been riding emtbs since 2014 and I've been writing about them since 2016.